And they are asking for us to help them by reporting when the Dogwoods are blooming our gardens or when you picked your first tomato, basic “gardening journal” stuff that you’ve been doing for years. 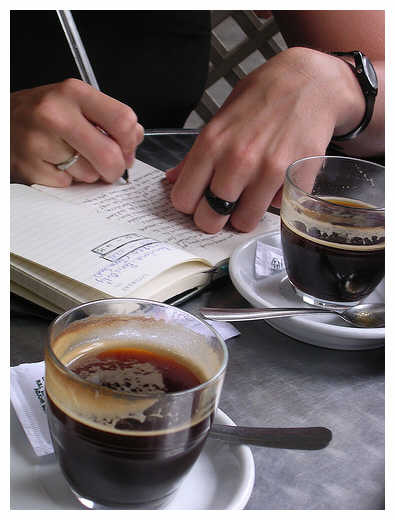 And if you’ve kept your journals, you can go back as far as you have records and upload the information. 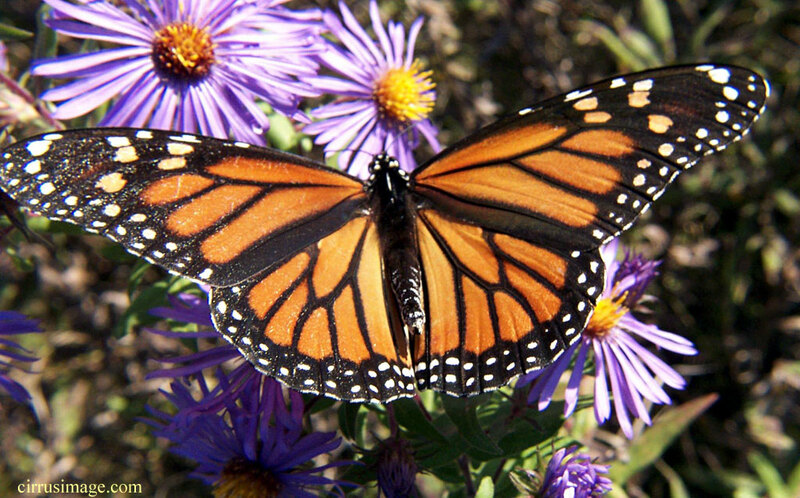 You can even help them track Monarch Butterfly migration. Once we all start reporting our observations, the Powers That Be can take our information and compile it with information from others to paint a very accurate picture of what we can expect blooming (or not) around the country. Its very easy to sign up and they need help in every corner of the country. Every gardener already pays attention to what’s blooming and fruiting anyway, but now you have a place to record it for people who are really interested in what you are seeing. You can be a part of the BIG picture! Its that time of year! The bluebirds are starting to shop for a nice home in which to raise their families this year and if you want to ensure that they pick YOUR backyard, mealworms are the ticket! Of course, you still need to make sure you are providing them with a quality home that meets all their specifications. If you live in the Charlotte, NC region, my favorite birdstore is Backyard Wild in Matthews and they offer an assortment of official bluebird houses to meet all budget types. They have a great house that will open up on one side so you can monitor the progress of the babies! 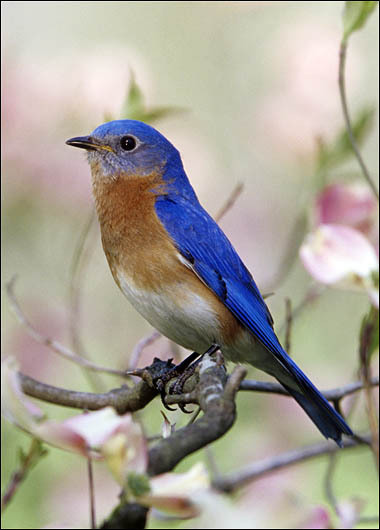 If you start offering mealworms now, you increase your chances of scoring a bluebird family this spring and you can train the bluebirds to come when you whistle. If you really want to impress your friends, you can teach them to eat out of your hand. This takes time and patience, but wouldn’t that be great? Here’s our video on bluebirds to inspire you to go out and get a good birdhouse and some mealworms! I know, I know….its been a long time since we’ve posted a video but we’ve had a busy summer! The problem with writing a blog about nature is that you have to spend too much time in front of the computer instead of out in nature, so we have been doing less blogging and spending more time outside lately. BUT, we managed to put together this video about gardening with plants native to your area in order to attract wildlife to your yard. I read a book earlier this summer called <a href=”Bringing Nature Home: How Native Plants Sustain Wildlife in Our Gardens “>by Douglas Tallamy and although I knew how important it was to use native plants, Dr. T seemed to explain it better than I have heard before and I’ve been trying to spread the word (another great book, although a bit older is <a href=”Noah’s Garden: Restoring the Ecology of Our Own Backyards “>by Sarah Stein. I was even on the radio with the good Dr in early July talking about natives for an hour (click here to listen to the show). So this video is another attempt to get the word out on how important it is that we plant with natives. If we want birds and other wildlife, we can’t omit this very important part of the eco-system. Ok, so most of us know about getting our backyards (or schoolyards, or businesses, etc) certified as a Wildlife Habitat by the National Wildlife Federation, right? It’s a fun thing to do and gives you great bragging rights and a wonderful opportunity to educate friends and neighbors on providing the four elements of a habitat (food, water, shelter and places to raise young) while reducing (eliminating!) chemical usage and practicing other eco-friendly gardening methods. But why stop there? Look into getting your yard certified as a Monarch Waystation. Like a lot of wildlife, Monarchs are struggling due to loss of habitat, pesticide usage, loss of wintering grounds, etc, and need all the help we can give them. Monarchs are particularly needy because in their caterpillar stage they are incredibly picky about what kind of plant they will eat and only have one host plant—Milkweed (Asclepias)— and milkweed is becoming increasingly rare. And as with all butterflies, if you want butterflies, you have to provide the host plant for the caterpillar. And while you are learning what you need to provide to become a Certified Waystation, go ahead and see what other certifications might be available to you. 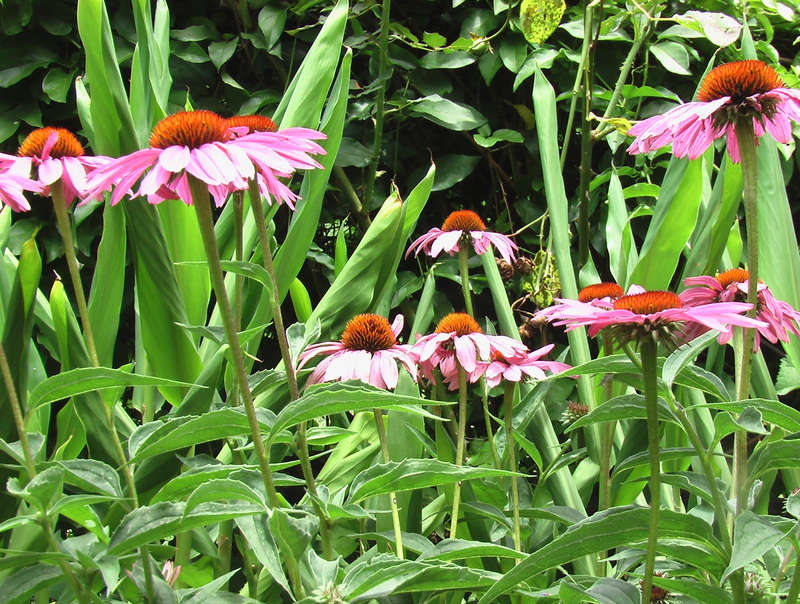 Here in North Carolina, those of us trying to incorporate as many native plants into the garden can be certified as a Native Plant Habitat by the NC Native Plant Society. In Colorado you can even take classes to become a Native Plant Master, which I think would go nicely with my Master Composter certification! You’re doing all the hard work to provide for wildlife anyway, and your friends and neighbors already think you’re certifiable, so prove them right! The Great Potato Experiment of 2008! We don’t grow many vegetables, but each year, I have the urge to do something people-food related, so this year we’re trying a method of growing potatoes in a small space that we’ve dubbed the Spud-O-Matic. We will be posting updates on our success (or not), and will hopefully finish with a video of us enjoying a great potato salad. So, for all you backyard gardeners, watch and see if this is something you would like to try and if you do, please send us comments or pictures on your experience. Credit for this method goes to David Blackley at Renfrow Hardware in Matthews, NC, but we will take all the blame if it doesn’t work due to silly rookie mistakes. Spring is when most small animals breed so that their babies are born (or hatched) when the weather is milder and food is abundant, and there is plenty of evidence right in our backyard! The birds are busy feeding babies so we shot this video on the important of providing the 4th element of a wildlife habitat—Places to Raise Young. Its not too late to put up some nesting boxes in your habitat. Most songbirds will have 2-3 broods in one nesting season that they often switch nesting sites, so there’s still time! A comment from Friend of SLD, Harry Schmeider, who writes a great blog on all things Bluebirds called Ambassador for the Bluebirds, reminded me of an article that another friend of SLD forwarded to us a few weeks ago. Harry posted a comment on the hummingbird video post about relieving stress by smelling like dirt and Katie had sent this article to us from Discover Magazine written in 2007 which gives a scientific reason to what gardeners have known for a long time, that getting outside and getting dirty is good for your mood! The article reports how researchers, studying treatments for allergies, injected patients with a soil bacterium called Mycobacterium vaccae and found that it activates a set of serotonin-releasing neurons in the brain—the same nerves targeted by anti-depressant drugs like Prozac! As I said, gardeners could have saved them some time and money because we have known this for years, but its nice to have scientific proof. And if you don’t have a garden, don’t worry about having to call your doctor to get a prescription, you can get the benefits from it by inhaling the bacterium during a walk in nature. So, the next time you’re feeling a little blue, go outside and smell some dirt!